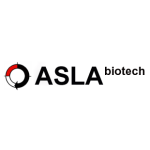 ASLA BIOTECH Ltd. is a company founded by professional scientists with extensive international experience in microbiology, molecular biology, immunology and biochemistry. We provide customer-oriented products and services in the field of our competence. We follow the modern trends and innovations in biotechnology, we develop our own methods. In most cases, however, we apply classical, proven methodologies in our production.